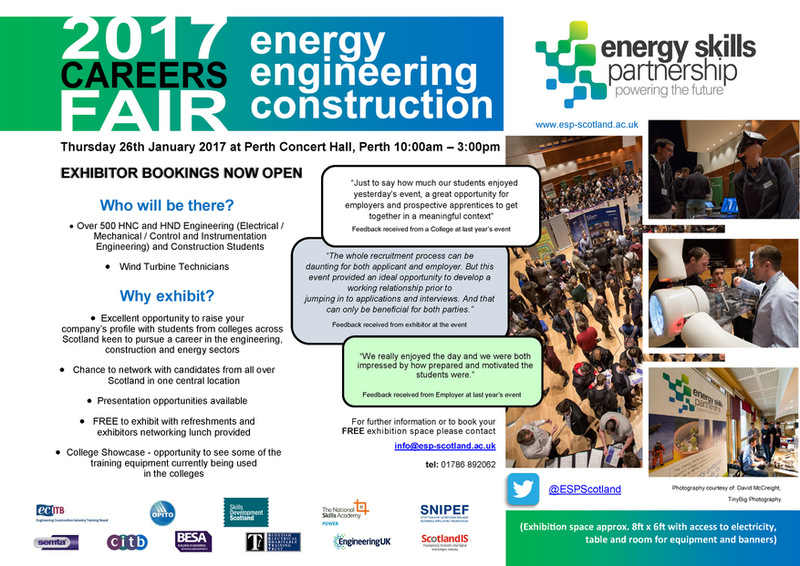 Interested in meeting over 500 HNC and HND STEM students? Exhibit for FREE on Thursday 26 January 2017, at Perth Concert Hall, 10:00am - 3:00pm. See below for full details, and book your place by emailing info@esp-scotland.ac.uk, or calling 01786 892 062.